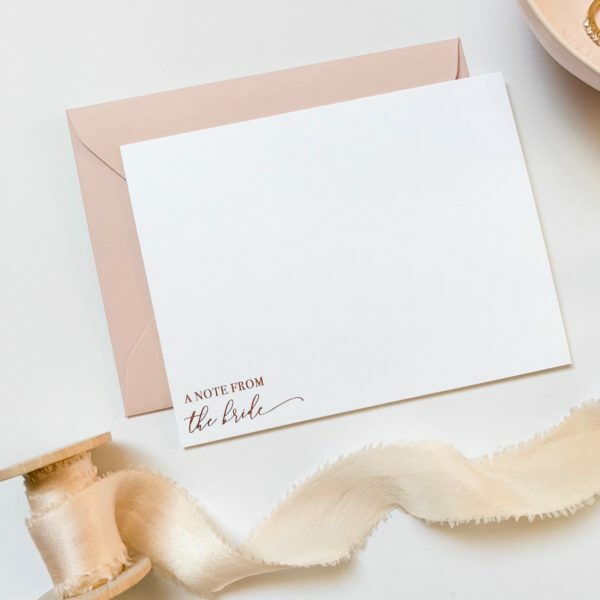 These rose gold foiled notecards are the perfect gift for a bride-to-be! 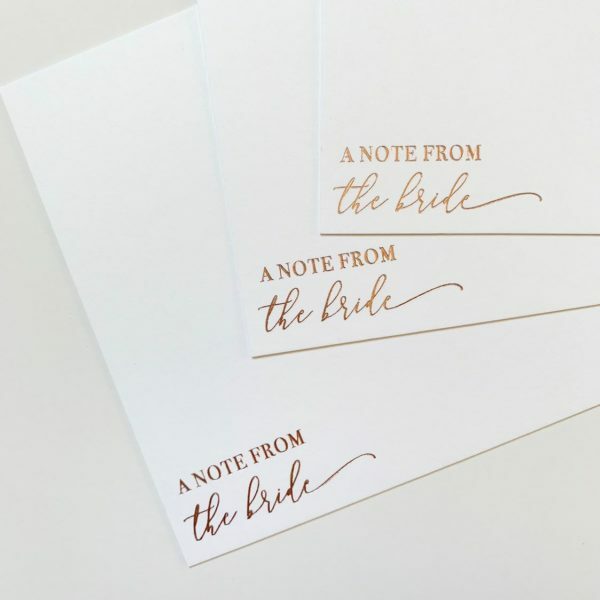 Weddings require a lot of thank you note writing! 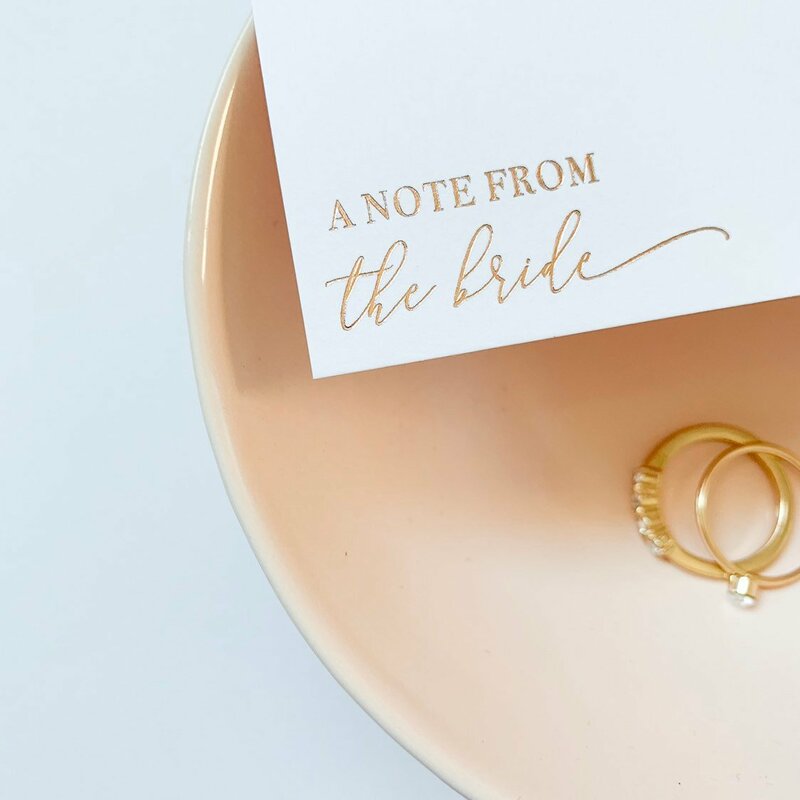 Order as a gift for an engagement party, bridal shower, or if you’re the bride – for yourself! Notecards are sized A2 (5.25×4.25) and come with envelopes. Front is rose gold stamped, back is blank. Sold in sets of 4, 8, 12, and 24*. Choose the quantity needed from the drop down menu. 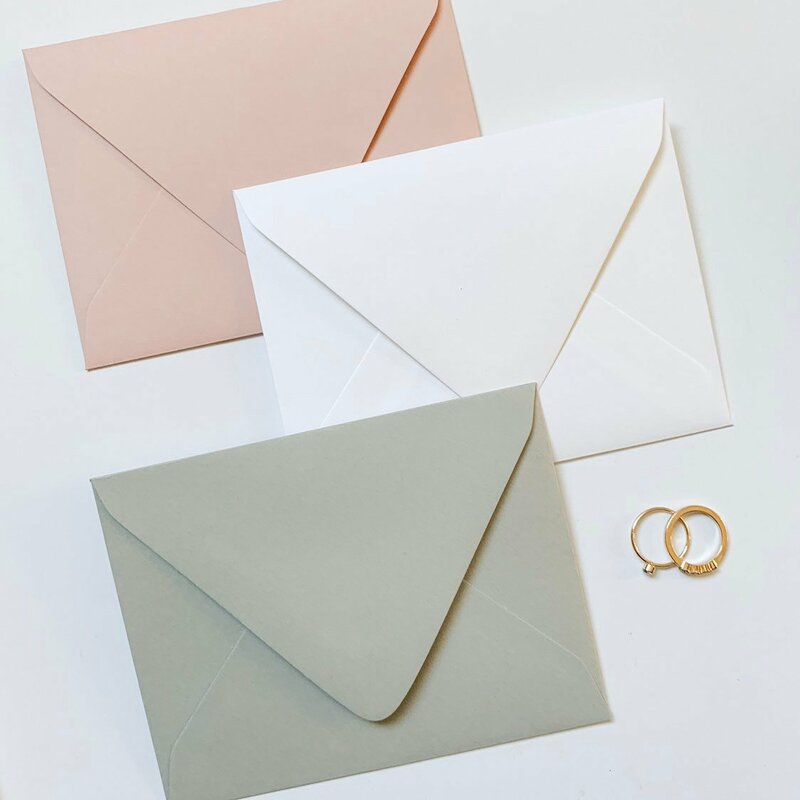 Select your envelope color: white, rose gold, grey, or a mix. *Contact me for special pricing on quantities larger than 50.
share your email to receive our newsletter! Lover of pretty paper and fun freebies? Sign up to receive our emails!